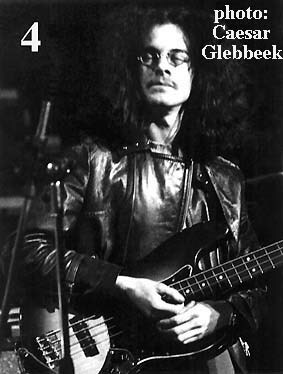 When Noel Redding went to his first audition with Jimi Hendrix in London on 29 September 1966, he borrowed Chas Chandlers Gibson EB-2 semi-acoustic one-pick-up bass guitar (sunburst model, almost certainly manufactured in 1965). 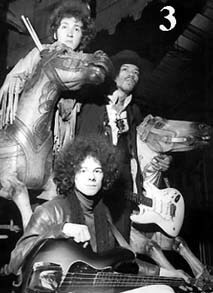 He also used it during the recording sessions for the "Hey Joe" single. 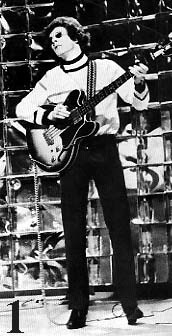 The Gibson was used by Redding until mid February 1967, when he purchased his own bass guitar, a sunburst 1964 Fender Jazz bass. in London. Noel also owned another Gibson EB2 bass (with two pick-ups). No photos are known to exist of Noel playing that bass. 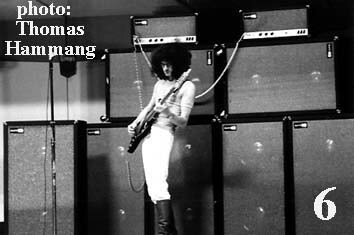 Noel Redding: I used a six-string bass for a while. That made the change-over from lead easier, but I could only seem to get a trebly sound of it. Later I moved on to four-string. This was a Fender V1 electric bass guitar, usually referred to as a Bass V1 or Bass 6. NOTE: Noel actually owned two of these. The first one Noel owned can be seen in gigs at the Big Apple venue in Munchen, Germany, November 1966 (we do not know what happened to this bass). Noel bought a second Bass VI at Manny's in mid 1967 (this was sold onto guitar collector David Brewis in July 1999, who still has it to this very day). The Fender Jazz bass was used for the remainder of Reddings career with the Jimi Hendrix Experience (note that in January 1968 he removed the pick-up cover and rear cover that protects the bridge). In the 1980s Noel sold his Fender Jazz bass (at that time in rather poor condition) for UK £10,000 to US collector Bob Terry, who himself sold it again a few years later. 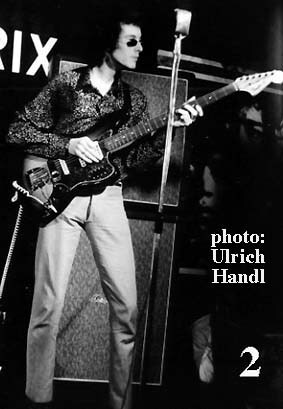 In July 1967 Noel Redding also got a Hagstrom eight-string bass (1967), which he used for some of the Axis: Bold As Love studio recordings and also during a few of the JHE concerts in late 1967 (such as @ Ahoy Hal, Rotterdam, 10 November 1967). Redding always used Rotosound Swing Bass string for his bass guitars, while Sunn was his favourite amplification system from April 1968 onwards. Photo 2: Noel with his first Fender V1 electric bass guitar. Photo 3: Noel with his Fender Jazz bass (with pick-up cover). Photo 4: Noel with his Fender Jazz bass (without pick-up cover). Photo 5: Noel with his Hagstrom eight-string bass. Photo 6: Noel with his impressive wall of Sunn amps. 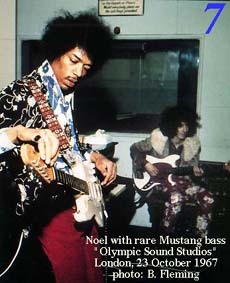 Photo 7: Noel with rare Mustang. 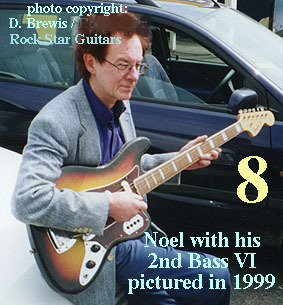 Photo 8: Noel with his 2nd Bass VI. NB With Thanks to David Brewis & Bob Elliott. 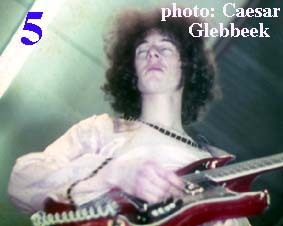 It was a nasty shock to learn about the sudden death of Noel Redding, who'd been living in County Cork for nearly thirty years. I visited Noel at his Ardfield home on countless occasions throughout these years to discuss various Hendrix matters/projects with him and I have wonderful memories of hanging out with Noel "at home and abroad." Noel David Redding (57) died at his home in Ardfield, Clonakilty, County Cork, Republic of Ireland, on Sunday 11 May 2003. He is survived by a son (Nicolas Noel) from his brief marriage to Susan Fowsby in November 1969, a sister, Vicky, and a brother, Anthony [died in 2014]. Noel's body was found in his upstairs bathroom on Monday evening (12 May) at around 18:00 hours by Bobby Blackwell, owner of "De Barra's" (a pub/folk venue in Clonakilty where Noel, when he had no commitments abroad, would perform every Friday night). Blackwell decided to go over to Redding's house on Monday after he had not seen the bassist after the previous Saturday and Redding failed to answer his telephone on Sunday. A post-mortem was carried out on 13 May at Cork University Hospital in Wilton, Cork. The report concluded that Redding died from "shock haemorrhage due to oesophageal varices in reaction to cirrhosis of the liver." Redding's body was cremated at Newlands Cross Crematorium, West Dublin, on Monday 19 May 2003. His ashes were later spread out (under a large tree near the drive-way where his goats and geese used to roam) at his Adfield home (the house was years later sold). Noel's catch-phrase at the end of a performance for over 10 years was "Thank you very much, good night, and good luck." Sadly, Noel's own luck ran out on 11 May 2003. We''l miss you, mate.